Holler’ for the family, call your friends, dinner is on! 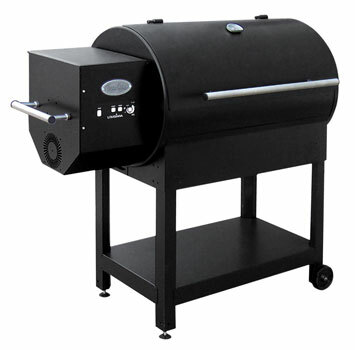 The CS-570 provides all the quality and integrity of our Country Smoker grill series on a convenient 570 sq.in. porcelin coated cooking surface. Smoke your sausages and roast your turkeys and vegetables! Even pineapple tastes betterwhen grilled on your CS-570. When your guests have had their fill of your satisfying dinner, throw on a mouth watering apple and rhubarb crisp for dessert without ever having to leave your backyard. There is a REMARKABLE amount of space on this bbq smoker! Enjoy the company of friends and family while providing succulent and delicious barbecue fare and delectable desserts!